The Scotia Momentum Visa Infinite card is one of the best cash back cards available in Canada. With a base offer of 4% cash back on eligible grocery and gas spending, and 2% cash back for purchases at the pharmacy and recurring bills, this card beats most of its close competitors on overall value. More recently, Scotiabank upped the ante with their introductory offer of 10% cash back on everyday purchases (on up to $2,000) for your first 3 months when you sign up for a new card. Additionally, they are waiving your first $99 annual fee, effectively giving you an additional value of $299 in your first year. Looking at the cash back value the Scotia Momentum Visa Infinite card brings, it is no wonder it was rated as the #1 cash back rewards card by MoneySense in 2017! 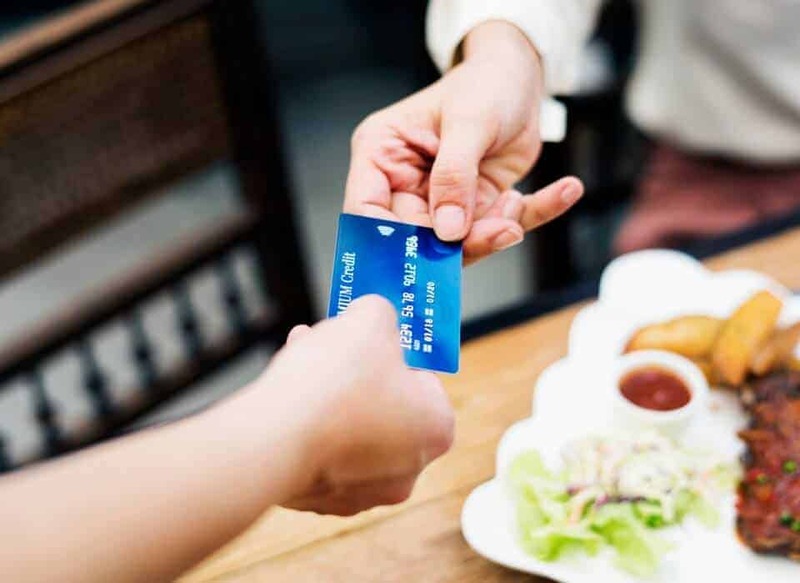 This credit card rates high when you consider its juicy cash back rewards, travel insurance, extended warranty, rental car insurance, exclusive VISA benefits, and annual fee. SIGN UP HERE FOR YOUR 10% CASH BACK! Scotiabank has a wide variety of credit cards that cater to the different needs and interests of their cardholders. The Scotia Momentum Visa Infinite card may be the top choice for you if you are interested in cash back rewards as opposed to travel or entertainment rewards. As you can see from the above list, the cash back offers are mouth-watering and the average spender will probably not exceed the maximum thresholds. If you have a large family and spend a lot on grocery shopping, or you do a lot of driving (gas purchases), your cash back potential is huge. Even with an average spend on these categories, you are still looking at a decent amount of money back in your wallet. However, it gets even better. When you sign up for a new Scotia Momentum Visa Infinite card, you earn 10% cash back on your first $2,000 spending in your first 3 months (up to a $200 value)! Note that this 10% cash back offer translates into an additional $160 in rewards on your $2,000 spend compared to what you would normally earn. 2. Annual Fee: The annual fee for this card is $99. While I’d like to not have to pay any annual fees for a credit card, this Scotia card offers several premium benefits which we will touch on later in this review. When you sign up for a new card, your first year annual fee is waived. 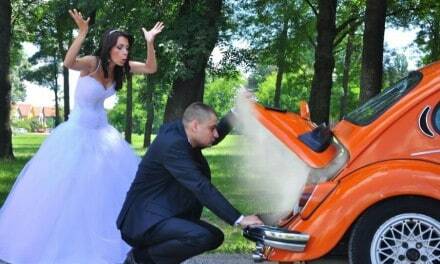 This is equivalent to an additional $99 value in your first year. After combining the 10% cash back promo offer (worth $200) and the first year annual fee waiver (worth $99), you receive an upfront rebate of $299 before considering the other cash back rewards you will earn by using the card over a 12-month period. 3. Travel Rewards: While this card is not focused on earning travel rewards points like the Scotia Gold American Express card, it does offer a variety of travel benefits that come in handy when you travel. 4. Car Rental and Insurance: You can get up to a 25% discount when you rent a car at participating AVIS and Budget locations when you pay with your card. In addition, you are eligible for a free rental car collision insurance loss/damage insurance when you pay with your card. 5. Purchase Assurance and Extended Warranty: This gives you insurance coverage against theft, loss or damage, and an extended warranty that doubles the manufacturer’s warranty up to 1 year. 6. Exclusive VISA Benefits: The Scotia Momentum Visa Infinite card entitles you to benefits that are exclusive to Visa Infinite cardholders. Complimentary concierge services: They are available to help you buy tickets, make dinner reservations, plan your trip, and more 24 hours a day and 7 days a week at 1-888-853-4458. VIP access to top notch entertainment events, wine tasting at over 60 wineries in British Columbia and Ontario, luxury hotel privileges (such as free WiFi, complimentary breakfast, 3 p.m. checkout), and dining. Zero liability: You are fully protected against unauthorized use of your card. 7. Other Features: As with other major credit cards, the Scotia Momentum Visa Infinite comes with 19.99% interest rate on purchases and 22.99% on cash advances and balance transfers. The grace period allows you to use funds interest-free for 21 days. Supplementary card fees: If you are getting additional cards for a spouse or family member, you can expect to pay $30 for each one. Income requirement: This card has a minimum individual income requirement of $60,000 or a combined household income of $100,000. Also, you will need to have an excellent credit score to qualify (that is roughly between 780 and 900). 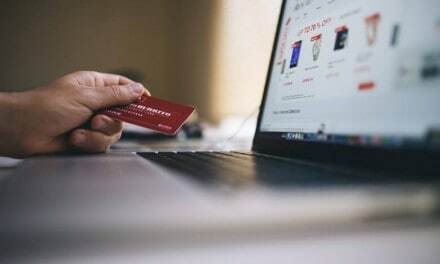 Some may also not like that you need to wait till November to spend your regular cash back rewards as this is when it is credited to your account. 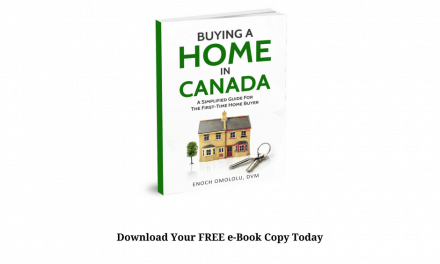 In my opinion, this lump-sum payment can be considered as some form of savings and can go towards paying down debt or some other tangible goal. Bonus cash back (i.e. from promo offer) is credited to your account earlier and within 2-3 months after the promo ends. Is Scotia Momentum Visa Infinite For You? The Scotia Momentum Visa Infinite card excels among cash back cards available in Canada. For example: Assuming you spend $800 on groceries and gas every month, and $300 on recurring bills and drug store purchases, for a total of $1,100 spend on your card per month. The total is $456 in cash back for the year. Not bad for FREE money, eh? Note: This calculation above does not include the $99 fee waiver for Year 1, the 10% promo cash back rate, and the 1% cash back earned on all other purchases. This realistic scenario shows you can easily earn $500 or more in cash back annually by using the infinite card. Even if you were to pay the $99 fee, it still leaves you with significant cash back earnings. In the example shown above, we have also not considered the value of the travel benefits, extended warranty, rental car discount and insurance, concierge services, and more. If you are using your Scotia card when you book your flights and hotel reservations, pay for rentals, or purchase everyday items, this can translate into a lot of money! When these additional benefits are combined with cash back rewards, the Scotia Momentum Visa Infinite card ranks as the best cash back card within its category in Canada right now. Excellent Travel Rewards Card: Scotia Gold American Express card – earn 15,000 bonus Scotia Rewards points ($150) on your first $1,000 everyday spending in the first 3 months. Also earn 4x Scotia Rewards points for every eligible $1 spend on gas, groceries, dining, and entertainment. Great No-Fee Card: These cards do not charge any annual fee and include: Scotia Momentum No-Fee Visa card and Tangerine 2% Money-Back Credit Card. 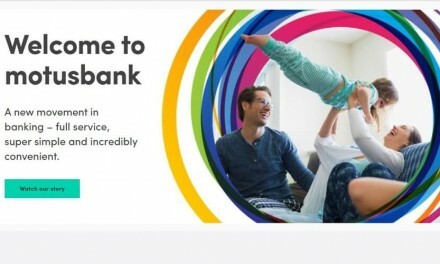 Low-Interest Balance Transfer Card: Scotia Value Visa Card – 0.99% introductory interest rate on balance transfers for the first 6 months and 12.99% after that. Student or First-Time Credit Card: Scotia SCENE Visa Card – no annual fee. Earn 2,000 SCENE points with your first $500 in everyday purchases in the first 3 months. Earn 1 SCENE point for every $1 spend or 5 SCENE points for every $1 spend at Cineplex theatres. 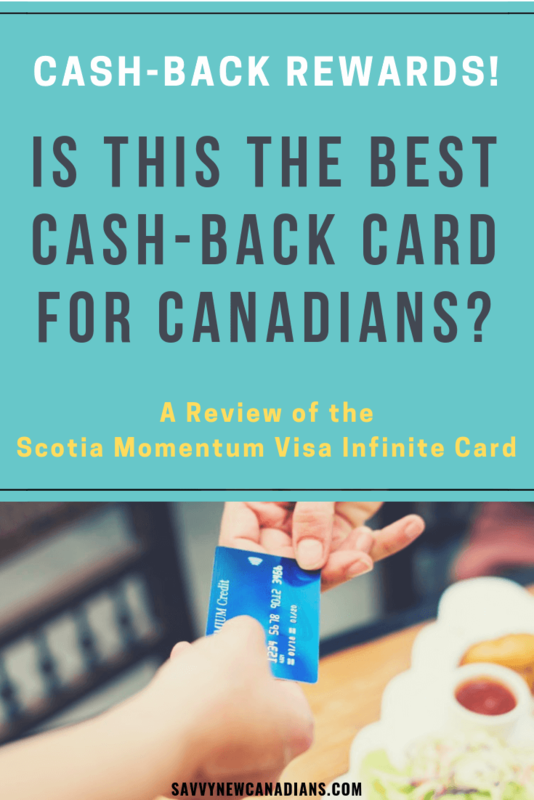 The Scotia Momentum Visa Infinite card is one of the best cash back cards available in Canada, and it has gotten even better with a 10% cash back promo offer!